The aim of this research project is to design and develop a Peruvian patent database from historical files kept at the General Archive of the Nation (Ministry of Industry and Trade Documentary Collection; Section: Industry, Patent and Trademark Series). Once the database completed, we will analyse the patterns of foreign technology transfer drove by foreign companies and by Peruvian migrants. Moreover, through the sectorial classification of those patents we will be able of studying and assessing the role and scope of technology and innovation in distinct industrial, agro-export, and mining activities. 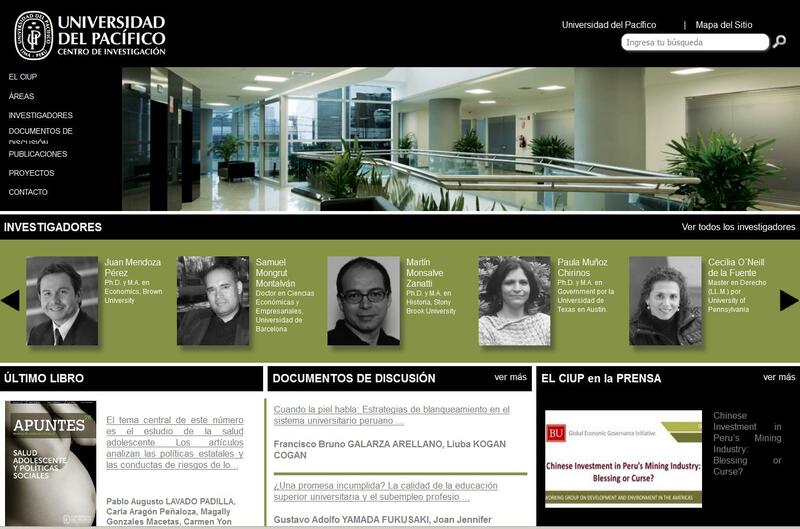 Web page of the “Centro de Investigación de la Universidad del Pacífico”. Patent documentation at the General Archive of the Nation (Peru).